St. Augustine, Florida. January 26 , 2019 . 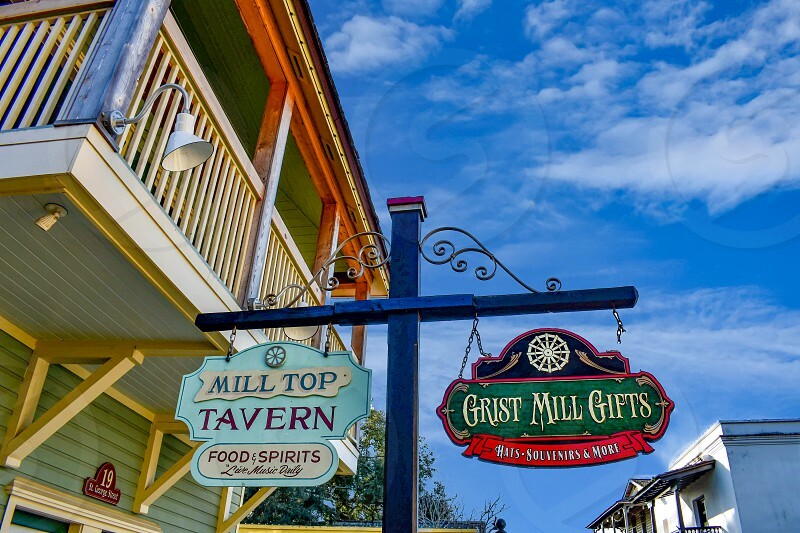 Vintage colorful signs on blue cloudy sky background at Old Town in Florida's Historic Coast.